don't think it's Sen or Basswood, look like Alder to me. That is pretty much from the end of the Greco strat production. With a brass nut and the pickup configuration and wiring it could just be and odd-ball end of the line guitar. I remember that one on Yahoo Japan. It looks great in the pictures. IDE be real happy if it's alder. Just thought the sunburst looked to good for a Greco but if it was made a few months later it would be a Fender. The pickups are hot about 9 something dc and I like hot for my giggling guitars. Certainly looks like a Friday arvo job. It looks brand new !!! Where was it a time capsule ?? Nice score. You may be right about some creative models at that time. This strat I used to own was also a D82 model. It also had a brass nut. It looks like yours is not the only example of this model. 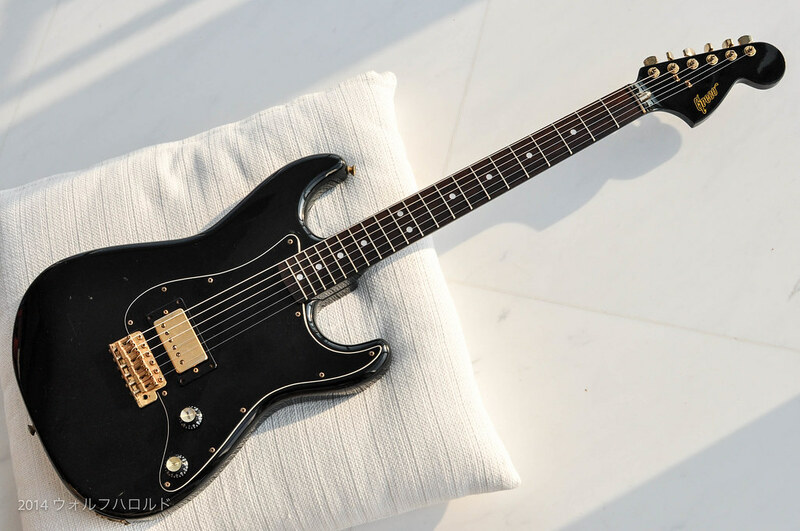 An auction just ended for what looks to be the same guitar model with a D82 s/n. It is a bit of a rescue job and looks well played but has the same pickups, brass saddles and two string trees. It also has the same colour body so odds are better that your guitar is all original IMO. Thanks for your posts. I just got the guitar today and plugged it into an amp. It sounds great. The pickups are great and when you pull the knobs up you get the extra tap that puts it into almost a humbucker kind of sound. I prefer it without the extra tap,still pretty fat and sounds great on all pickups. The neck is straight with the slightest bit of relief that I might tweek. The action is still a bit high but the bridge pieces are against the bridge plate and might need replacing for shallower ones otherwise I need to shim the neck. 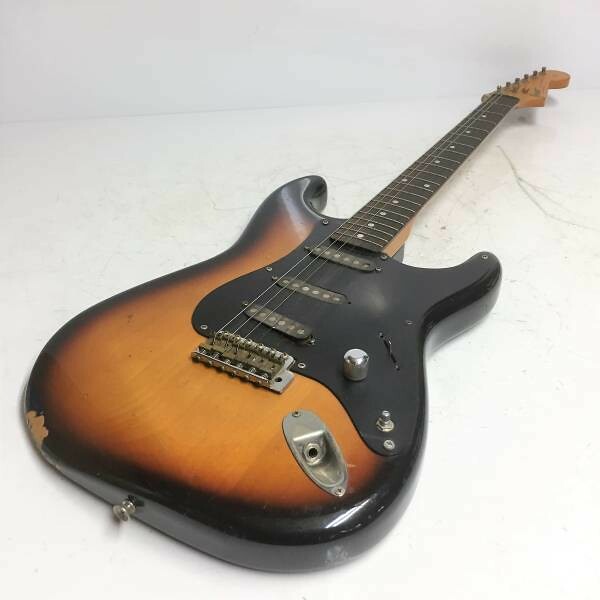 By the looks of the above post this guitar is probably all original and has hardly ever been played. No scratches on the pickguard ect. Looks like three piece alder. I've just got to fix where the paint has peeled. I'm stoked, my wife not so much as this is my third Greco. I've shimed the neck, tweeked the truss rod and got the action where I want. Trouble is I need to take the pickguard off now to see how it's wired cause I can't quite work out what's going on. When you pull the tone knob up it puts the bridge and middle pickup into action even when the 5 way is on the bridge pickup? ?giving it a humbucker type sound.It seems this thing has a very large amount of different sounds including a nice Mark Knofler out of phase sound between neck and middle, and I don't usually like out of phase sound. It's a really fat, usable sound. These pickups are great. Anyone had any experience with these with the four conducters? I'll post back when I've somehow got my head around the wiring. I don't think Greco just threw this together in a hurry. Some thought went into it and I'm loving it.